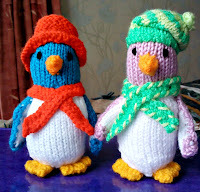 I made these Penguins for Lovinghands and they will hopefully get a good home and support what ever charity they are destined for. They were easy to make I loved making them. 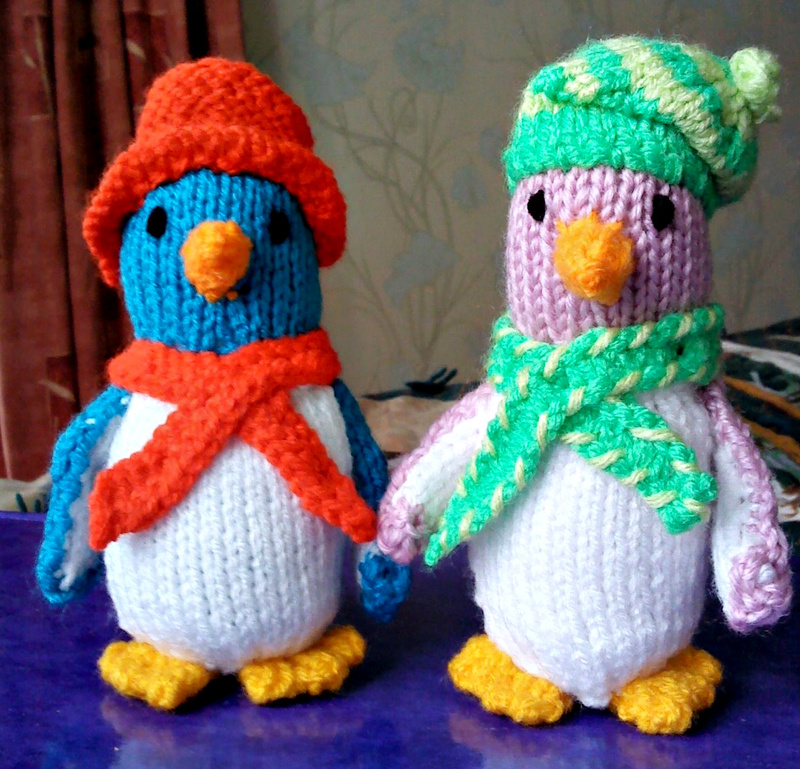 Penguins are black and white but I wanted to make them look different so chose bright colours. I added embellishments to the hats and scarves so each penguin has a character of their own. 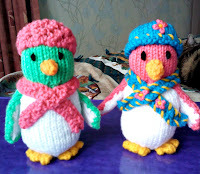 The pattern was in an old Jean Greenhowe book Knitted Toys, I altered the scarves and created a lacy beanie and scarf myself. Lovely. I think these will be a welcome change from the black & white penguins. Children love bright colours.